Most folks have no idea what an asbestos shingle is. 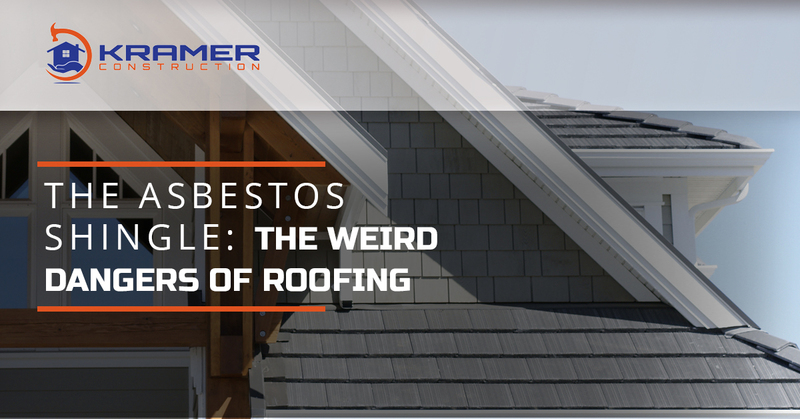 To put it simply, it’s a roofing shingle made of asbestos — the building material that will give you lung cancer faster than you can say “what?” It’s nasty stuff and it turns out to be quite prevalent all because of Ludwig Hatschek. He was known as an entrepreneur back in the year 1900. He made asbestos materials widely popular when he patented his fiber cement mixture in 1901 and called it Eternit, which loosely meant everlasting in Latin. He then promptly patented the process of making asbestos shingles in Europe and spread them far and wide. In fact, he was so successful at spreading his product that it was soon getting sold to various other continents like Africa, Asia and even South America. Since the folks completing roofing projects back in 1911 didn’t know better, they loved asbestos roofing. It a mixture of asbestos fibers and hydraulic cement that could beat the band. The shingles were completely fireproof, super rigid and nearly indestructible. They didn’t ever warp due to water or rot because of high moisture in the air and they managed to be ridiculously resistant to insects. They looked like the best option seeing as they were inexpensive and far superior to any of the competitors products. Their fireproof quality was probably one of the most exciting selling points for people investing in new roofing projects at the turn of the century. The great fires of London and New York had managed to turn the cities that once housed huge populations into little more than kindling and charred bones of homes, so it was natural for people to flock to the product. It may not have matched the pure endurance of slate roofing, it was far less expensive and managed to boast a 30 year minimum for its own endurance. 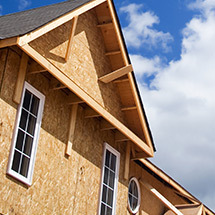 Essentially, it remained the best option on the market for most homeowners. 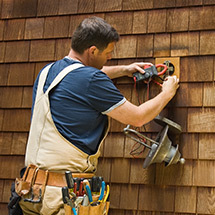 When the asbestos shingles started to take off, due to the different colored dyes that would take to the shingles for greater customization, most already knew that asbestos could cause pulmonary diseases. In the industry’s defense though, they believed it was almost strictly from the dust from asbestos instead of the substance itself. The factories for the substance merely used better ventilation to try and remedy the problem. However, the factories did little for their workers in that respect as most health insurance agencies wouldn’t sell policies to people who worked in those factories because of the known problems with asbestos. Soon after this trend picked up, workers that were no longer working at asbestos plants started collecting damage checks because of the high propensity for premature deaths resulting from the factories. In the 1930s and 1940s, several papers were published with convincing conclusions that asbestos leads to lung cancer. Startling reports of people who lived near the factories and breathed in the dust arose as the decade continued and it became clear that the substance was extremely dangerous, but only Europe heeded the warning and limited the production. The U.S. companies weren’t interested and so the roofing materials were continually manufactured. 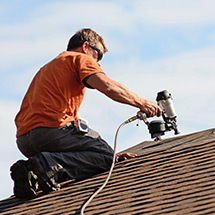 While the asbestos roofing problems of the early 20th century are fascinating, the most you have to worry about nowadays is the quality of your roofing. 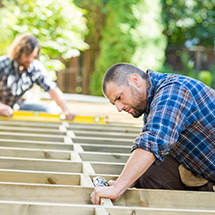 Invest in a high-quality roofing contractor through Kramer Construction.